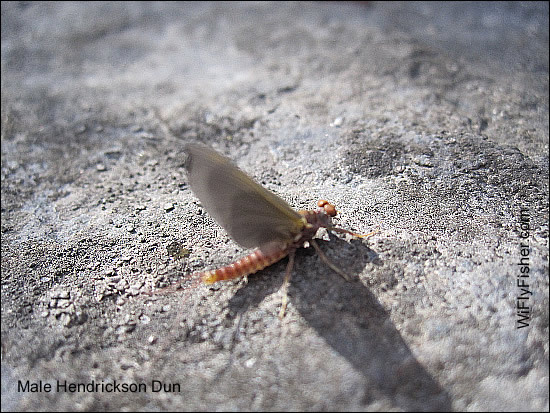 Hendrickson mayfly hatch (Ephemerella subvaria) is is a major mayfly on the freestone streams throughout Northern Wisconsin. 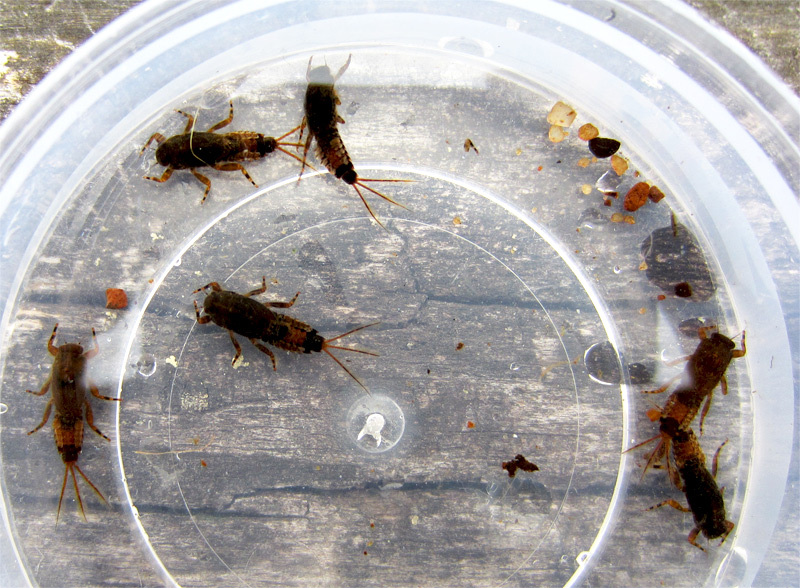 The abundant nymphs are found in the riffles among the rock and gravel bottom. 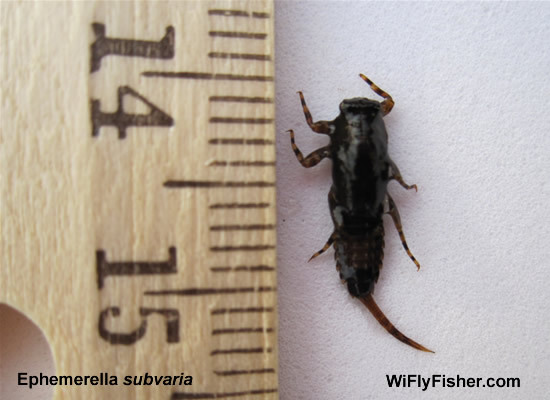 Depending on the Spring weather pattern and the stream, Ephemerella subvaria nymphs will be hatching anywhere from mid-April to mid-May. If the temperatures stay cooler the hatch can last for 2 to 3 weeks. Offering fly fishermen some great Spring trout fishing. 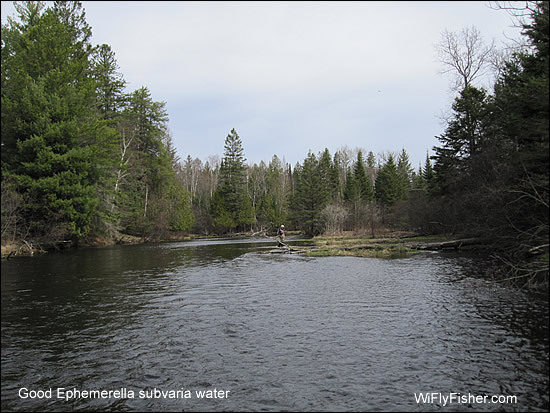 During this time in the mornings the trout will begin to key in on the Ephemerella subvaria nymphs. The nymphs become very active and their wing cases will turn very dark prior to emergence. A size #12 hare's ear nymph can be deadly prior to the hatch. 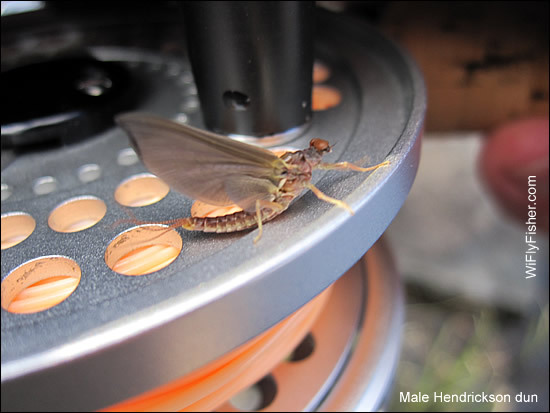 Once the hatch first begins a CDC wing emerger or a soft hackle wet fly can take a lot of trout. 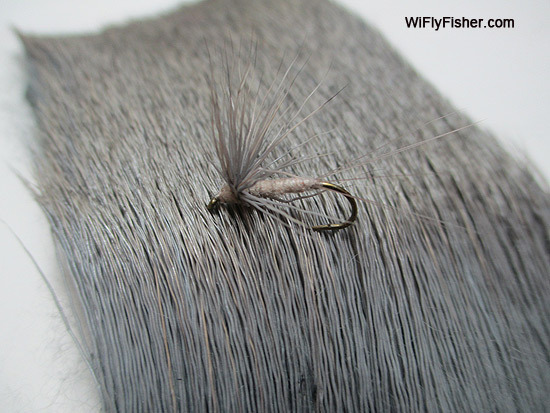 When the small gray winged sailboats start to cover the water a size #12 or #14 comparadun, or the classic light and dark Hendrickson dry flies can make an exciting afternoon of fishing. 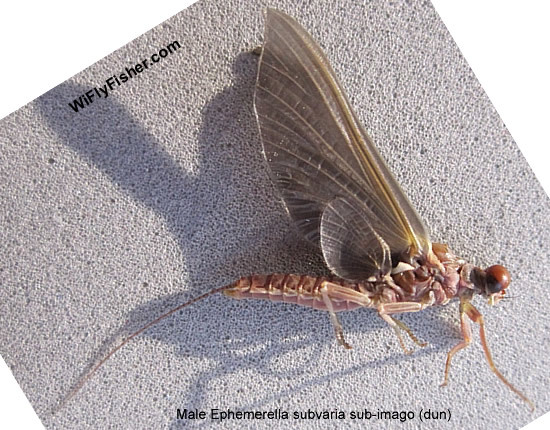 The male Ephemerella subvaria duns are generally smaller than the females with larger eyes and a dark reddish color. The female Hendrickson duns are more of a gray-brown color with a touch of pink and have smaller eyes. This can be important to take notice of because at times feeding trout may become very selective for either the male or female emerging duns. In cooler Spring weather the Hendrickson hatch will begin around 1:00-2:00 pm in the afternoon and can last for a couple of hours. On overcast days the hatch may sporatically occur from late morning through the afternoon. 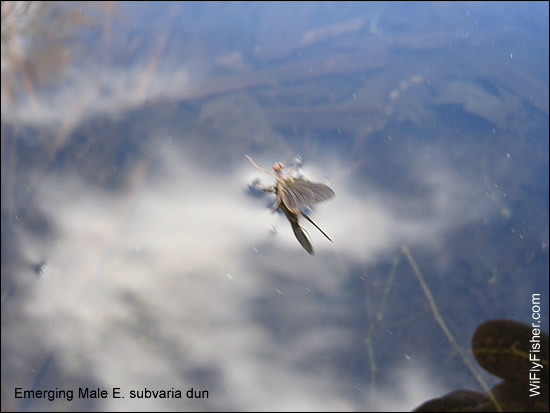 If the weather is unseasonably cold the duns may be forced to ride on the water for long time before being able to fly off which makes the helpless duns an easy meal for rising trout. In the evening don't pass up the terrific Hendrickson spinner falls. They generally occur around dusk over the riffles and faster sections of the river. Hendrickson spinner falls may also appear in the morning during really warm Springtime temperatures. 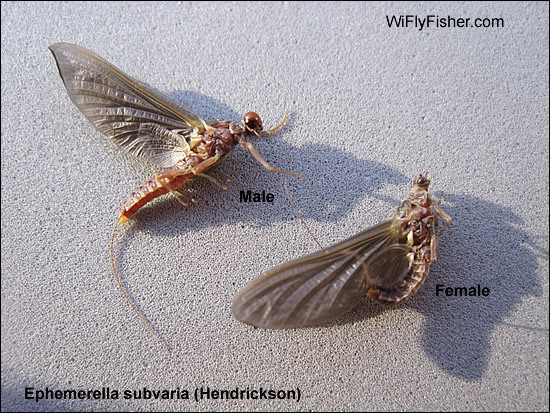 Click here for Hendrickson mayfly patterns. 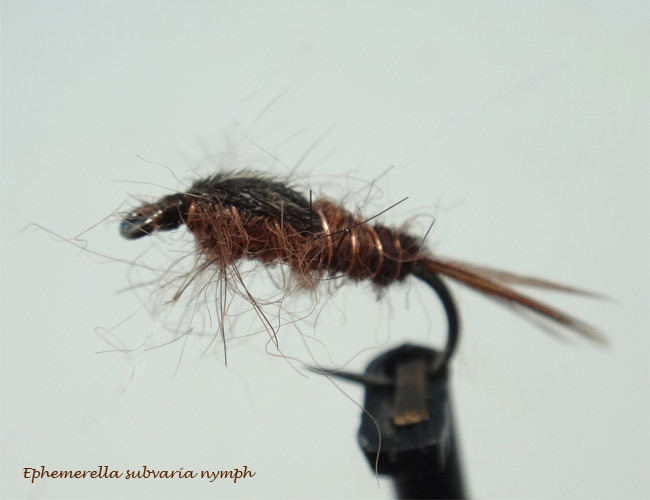 Great photos of the naturals, and great flies...I'm already tying. 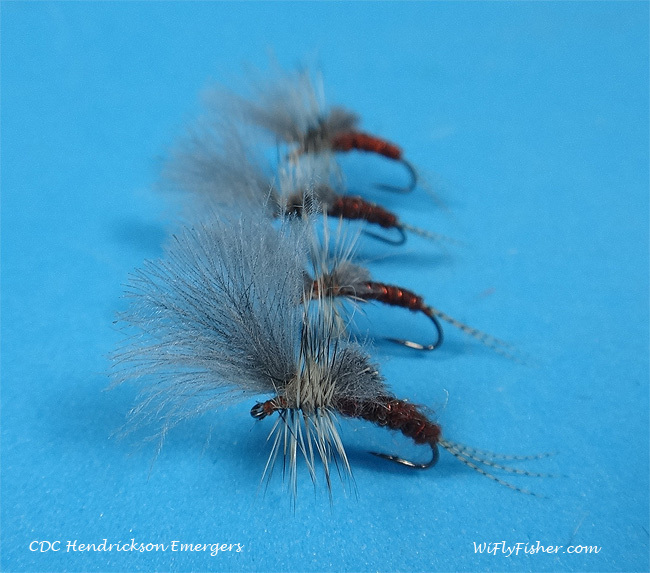 Very informative page, helps me better understand the Hendrickson hatch. Love the photos!. Very informative. Great pictures on the lifespan of a Hendrickson and what they look like. Well done. Lovely page of one of my favorite mayfly hatches. Great pictures. I fish almost exclusively on the Delaware system and see more Hendricksons (females?) than I do see the Red Quills (males) might you be able to offer an explanation of that? Thanks.